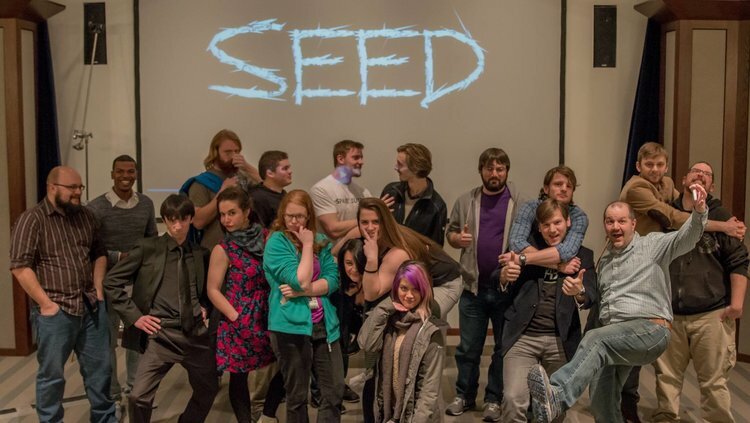 Cast and crew from "SEED", at the first UK Student Film Showcase Fall 2015. The UKY Film Festival showcases and celebrates the films created by University of Kentucky students. The festival started as a Student Film Showcase in 2015 and has now evolved into a campus wide film festival. The UKY Film Festival is the only university wide film festival that any student regardless of discipline can submit to. The films are scored by a variety of local media professionals and campus representatives. Awards are given to the filmmakers with the highest point totals in the opinion of the judges. This event is sponsored by the University of Kentucky Informant-ion Technology Services, the Gatton Student Center, and the College of Engineering.